Graphite. Is this the fourth new iPhone color? Is this what the graphite iPhone looks like? YouTube user DetroitBORG, has posted several unboxing videos that show iPhone and iPad components being handled and compared. 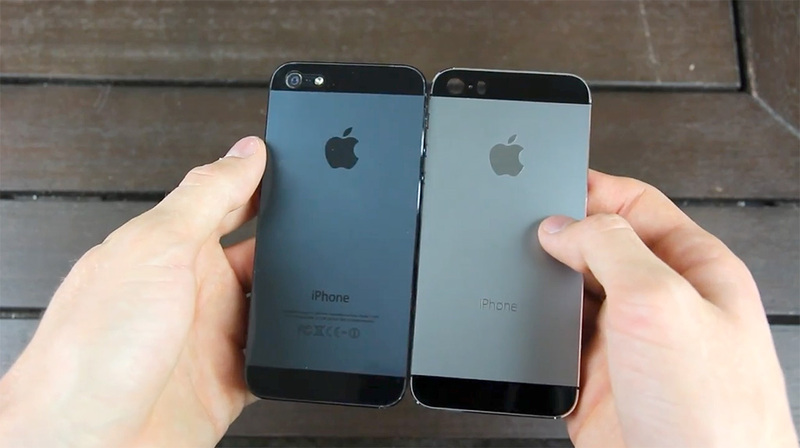 It’s worth noting that early components for last year’s iPhone 5 showed a similar color. It wasn’t until the units were chemically treated before being assembled that the typical black color we’re all familiar could be seen. Nevertheless, this graphite color sits well with the much-rumored gold iPhone 5S that’s expected to be announced September 10th. Other notes from this video include a larger area reserved for the battery, smaller logic board and chipsets spacing and a larger cutout for the LED camera flash.